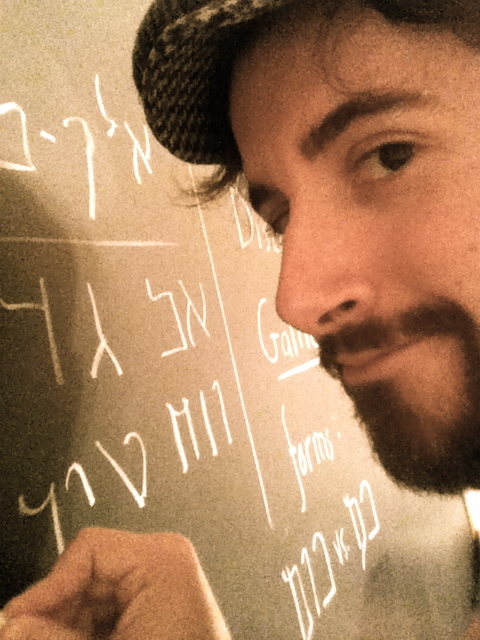 I’ve always had a fascination with cryptography and the idea of an uncrackable cipher, so a few weeks ago I had a crazy idea for a variation of the One-Time Pad or Vernam Cipher (which you can read about here) with a fun mobile-phone enabled twist. 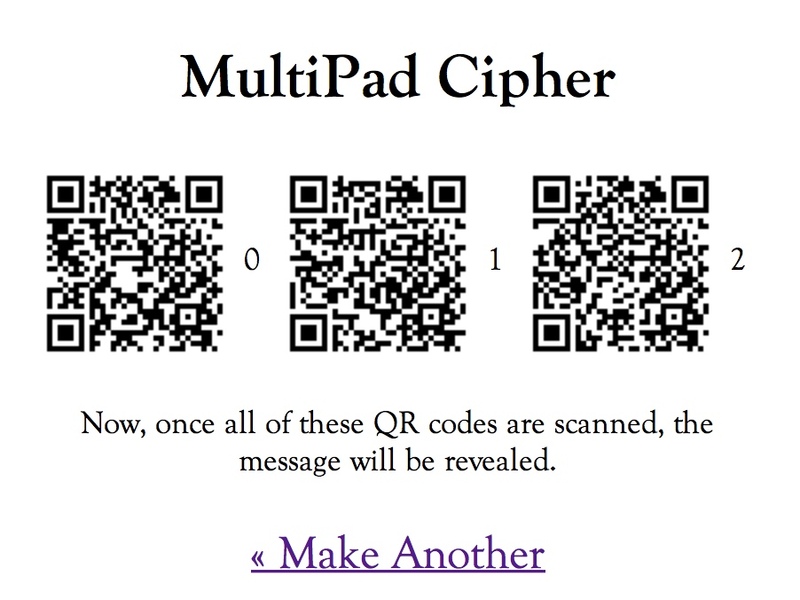 Thus the MultiPad Cipher was born, which is a quick and easy way to encode a secret message in an arbitrary number of noise layers or “pads.” Each pad is represented by a QR Code which, when scanned by a mobile device, adds them together to eventually reveal the secret message. The current proof-of-concept web app I’ve put together can generate pads for distribution to your friends, encode/decode messages with those pads, and can also “fragment” a pre-determined message into a number of parts (in case you need to keep a secret among more than one person where each party doesn’t know it on their own, or need a way to track a scavenger hunt, etc. ).